In the time of our exile in Egypt, the evil Pharoh commanded that all baby boys be thrown in the river and that midwives should not help the women at all with the birth. Here is where we learn about the great women , Yocheved ( Moshe Rabainu's Mother ) & Miriam (Moshe Rabainu's Sister). 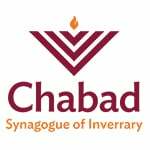 Here at the Synagogue of Inverrary Chabad we have BH alot of young families and babies are always a joy for this community. When women have babies in our communiy , Our Shifra & Puah organization steps in for the family, We provide meals and whatever else is needed. Our Shifra & Puah organization also steps in if there is a medical situation and help is needed.